Psypoke - Pokemon Black and White :: Generation V! 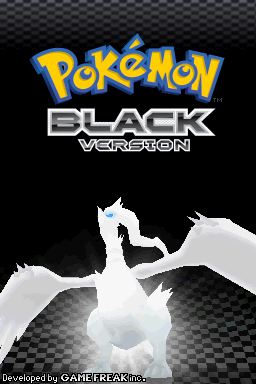 Pokemon Black and White, the first two games in the 5th Generation of the Pokemon series, are the latest chapter in the adventure. Released September 18th in Japan and March 2011 in English, these new games have seen considerable promotional coverage as a new beginning to the series. 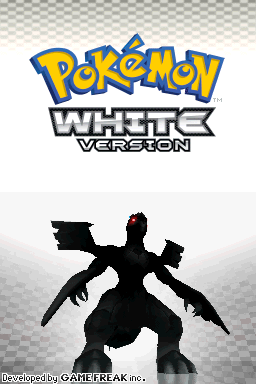 Black and White have been produced as a way to return the Pokemon franchise to its very beginnings. Route numbers have not increased by 100 but instead restarted at 1. Players will no longer encounter the same old Pokemon in a new area - only new Pokemon are available until the player beats the Elite Four. In this way, Black and White are meant to create the experience of exploring a whole new place and finding new creatures around every turn - the same experience the first players had picking up their copies of Red and Green/Blue nearly 15 years prior.